Enjoy a Southern Queensland Country freshwater fishing experience the local way. Follow the footsteps of local fishing enthusiasts and take in the 7 day self-drive fishing tour from Cecil Plains to Tara. Destinations include: Cecil Plains, Milmerran, Goondiwindi, Nindigully, Thallon, Dirranbandi, St George, Surat, Meandarra and Tara. Begin your Western Country fishing adventure at the Cecil Plains Weir. After a few hours in the fresh air take your appetite to Millmerran for a bite to eat and stock up on supplies. After lunch travel to Yarramalong Weir for an afternoon of relaxed fishing. Stay the night at the Weir or make your way back to Millmerran and enjoy the famous Southern Queensland Country hospitality. Get an early start and leave Millmerran for Goondiwindi Town Common which is good for bank fishing. Spend the morning fishing then catch lunch in Goondiwindi. 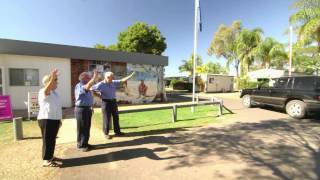 Head for the Goondiwindi boat ramp and unwind. Spend the night in Goondiwindi enjoying the local scene and chatting with colourful country characters (suggest the Victoria Hotel, a favourite among the locals). Leave Goondiwindi for Lalguli Reserve near Talwood for your morning fishing fix. Make your way to Nindigully, have a bite to eat at the famous pub and spend the afternoon fishing the banks of the Moonie River. Spend the night at the Nindigully Pub or camp on the banks of the river. From Nindigully follow the path of the Moonie River to Thallon and wet a line at Barney’s Beach. Enjoy lunch at the local pub then head to Dirranbandi for a spot of fishing at the Balonne Minor Bridge. From here make the afternoon drive to Wallam Creek at Bollon and spend the evening camping under a starry sky. Travel to the Jack Taylor Weir at St George for a spot of morning fishing. Head into town for lunch and then on to Beardmore Dam. Spend the night in St George and indulge in some authentic country tucker. 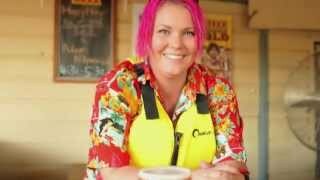 Take a cruise along the Balonne River with Sandy Town River Cruises for something different. Say farewell to St George and make your way to Bingi Crossing just past Surat. Have lunch in town and then on to Beldene Waterhole. Travel back to your accommodation in Surat for the night (there is a great camping spot right on the river). Visit the Cobb and Co changing station Museum in town if you are looking for something different to do. Leave Surat and head for Brigalow Creek at picturesque Meandarra (there is a great ANZAC Memorial Museum for you to also have a look at). After lunch it’s on to Tara Lagoon for an afternoon of fishing. Overnight in Tara before heading home or on to your next adventure. Hopefully we will see you again.